By Jen Ede -- We’re not sure if it was the caramel apple-y smells in the air, the progression of aged Hook’s cheddars from Larry’s Market, the wonderful cocktail stylings of Great Lakes Distillery or the crisp, wonderful taste of Island Orchard Cider, or even the venue itself, Best Place — there was something about our 2013 Apple Sauced! event that went straight to our heads. Watching the vendors setting up and laughing together, we were struck by the very real sense of camaraderie present in our food community. And our collective ability to throw a GREAT party. This first-year collaboration between MKEfoodies, Edible Milwaukee and Slow Food WiSE marking the end of the harvest was a true celebration of apples here in Wisconsin. The illusive Milwaukee apple made an appearance, along with a cider press and an heirloom apple tasting, on Slow Food’s table. Edible Milwaukee’s Fall edition was everywhere, as well. Chef Gregory Leon of Amilinda, an upcoming new, socially-conscious restaurant venture, showed up with big pans of brioche bread pudding with caramelized apples and a vat of bubbling, ultra-perfumy vanilla bean caramel sauce. 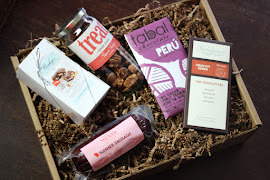 Sarah Marx Feldner of Treat Bake Shop was there with her delicious and versatile spiced pecans. Blue’s Egg and Maxie’s represented, with apple strudel and fried apple pie, respectively. Chef Nell Benton and her lovely sister were there from The National, with apple and custard baklava. Honeypie Cafe paired with Sassy Cow Creamery to present bourbon apple pie bars a la mode — actually, we’re pretty sure Sassy Cow made anything requested a la mode at Apple Sauced! Trocadero brought the Calvados tarts with puff pastry, caramel, pastry cream, brandy poached apples, while Lake Park Bistro deep fried up beignets on site. Mo with Indulgence Chocolatiers debuted two seasonal treats: spiked pumpkin spice truffles (made with neighbor Guy Rehorst’s Pumpkin Seasonal Spirit) and hard apple cider caramels. Meanwhile, Braise served thinly slice apples with rosemary shortbread, caramel apple whip and oat crumble. In addition to the food bonanza, the Wisconsin Auctioneers Association attended and whipped the crowd into a frenzy over a bevvy of local food items up for grabs. There were six packs from Lakefront Brewery, bottles and bottles of Island Orchard Cider, a beautiful gift basket from Irv & Shelly’s Fresh Picks, spiced pecans from Treat Bake Shop and apple desserts from Honey Pie, Outpost Natural Foods Coop and Braise restaurant. 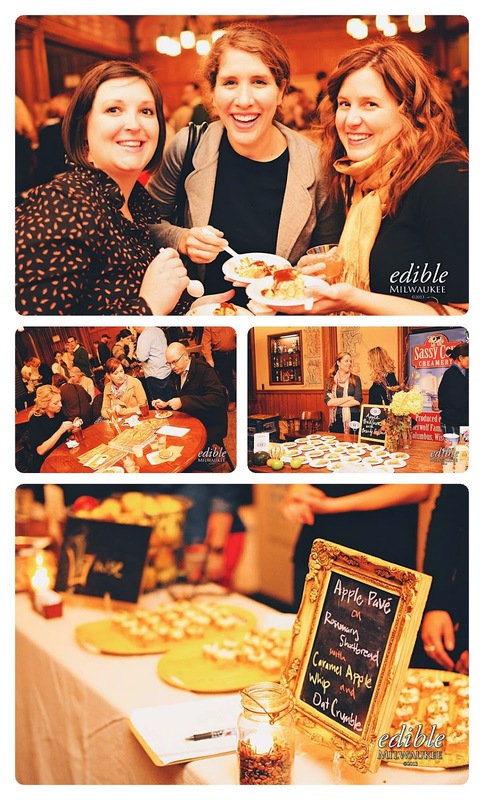 Check out photos from Apple Sauced! 2013 here, and be sure to get your tickets for this year's event before they're gone!